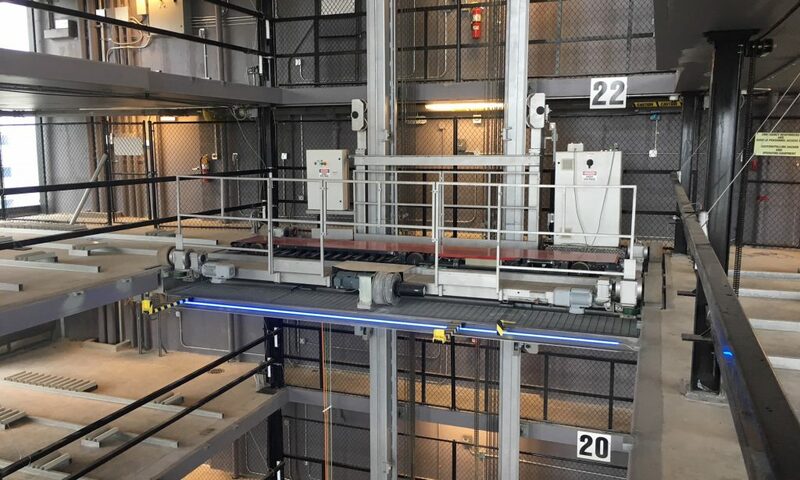 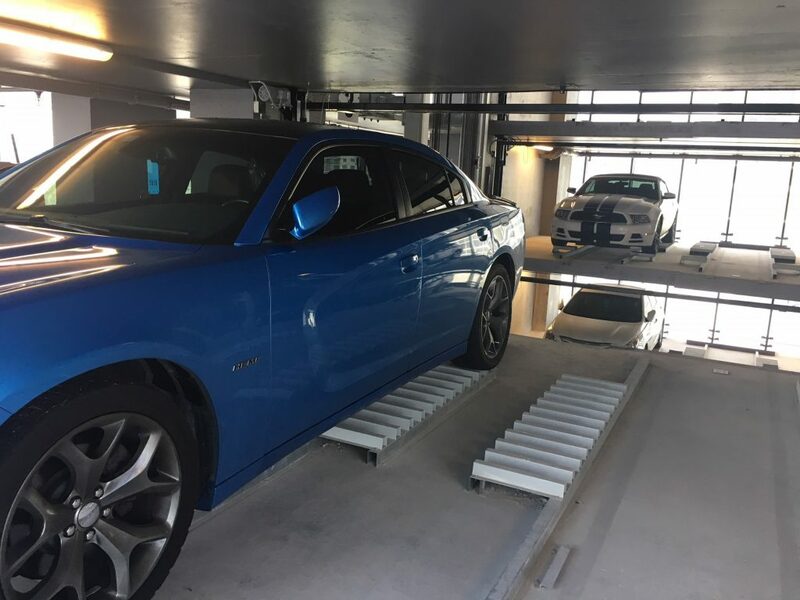 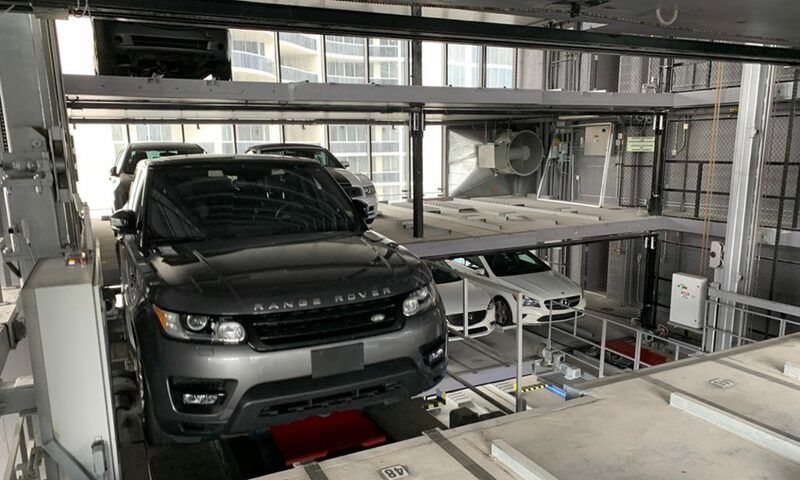 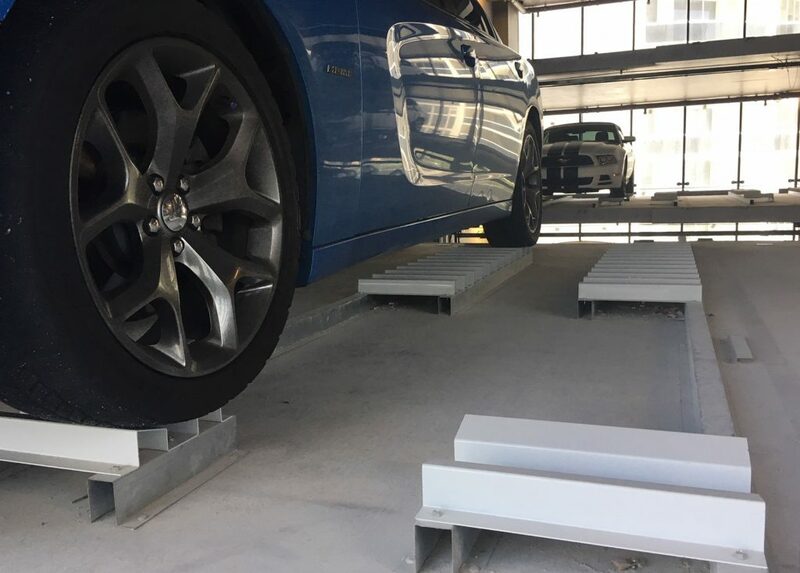 A look inside our fully automated Rack & Rail parking system at Muse Sunny Isles, Florida. 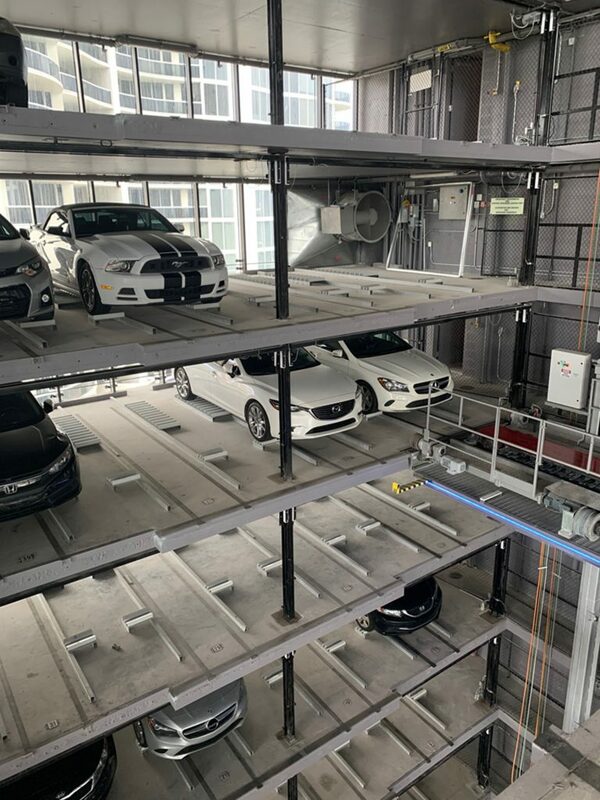 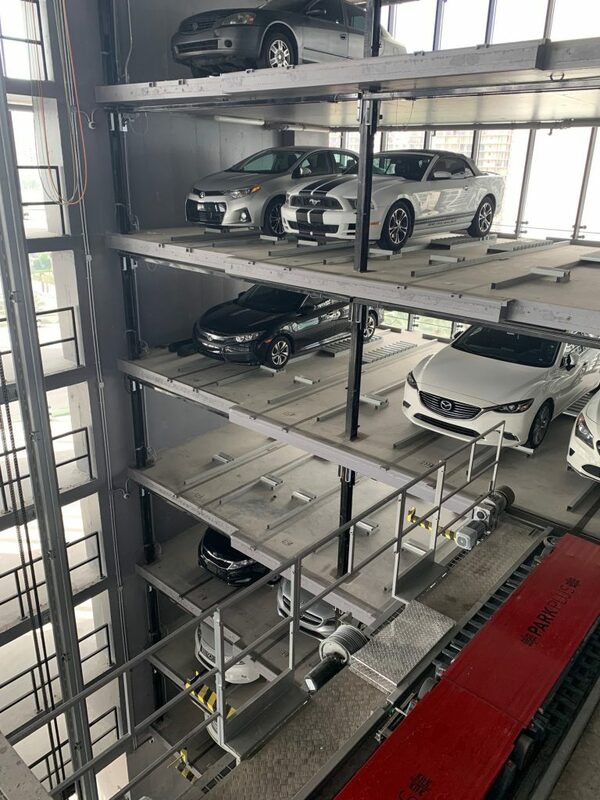 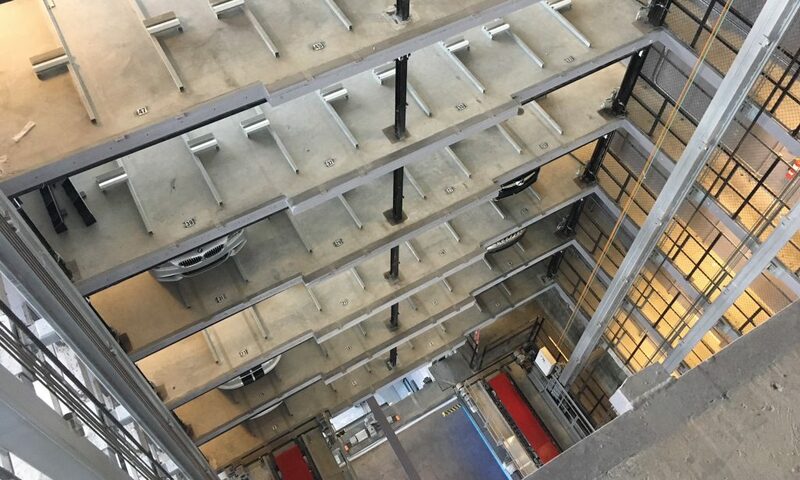 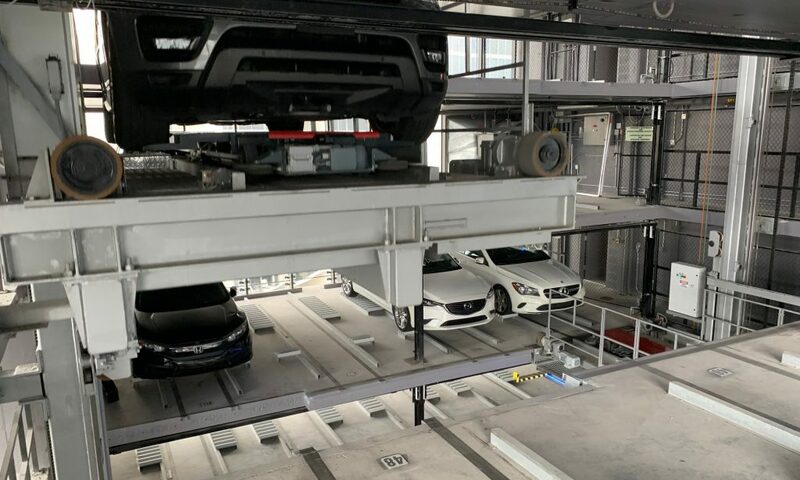 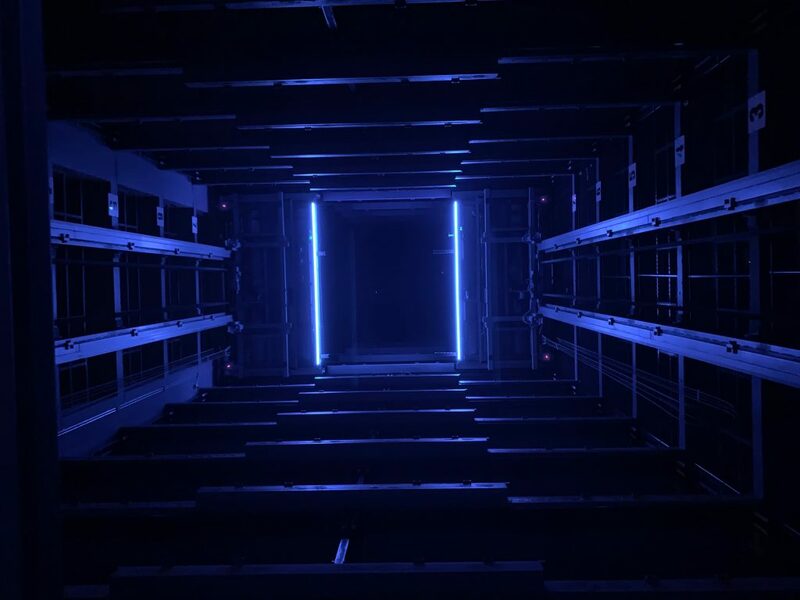 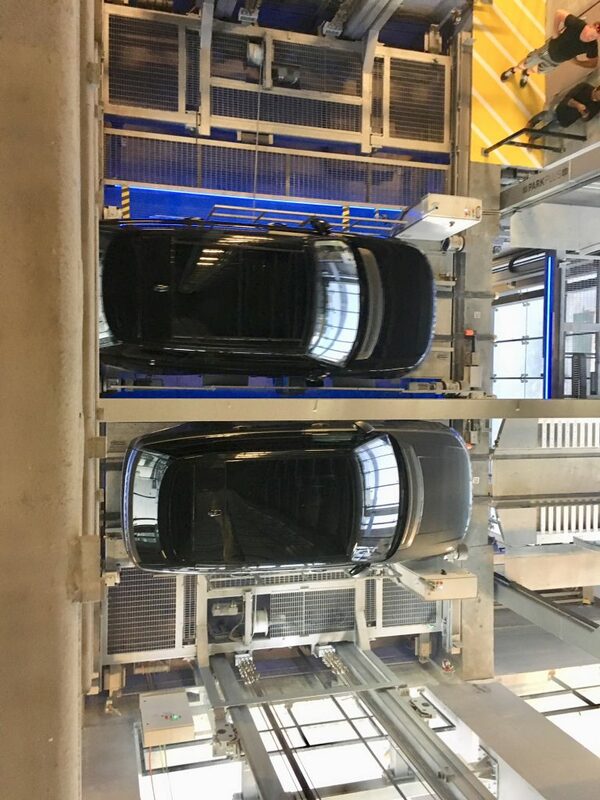 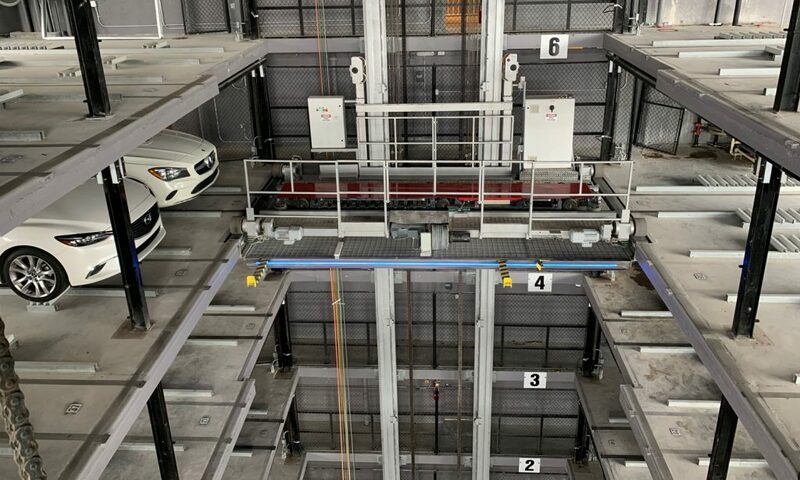 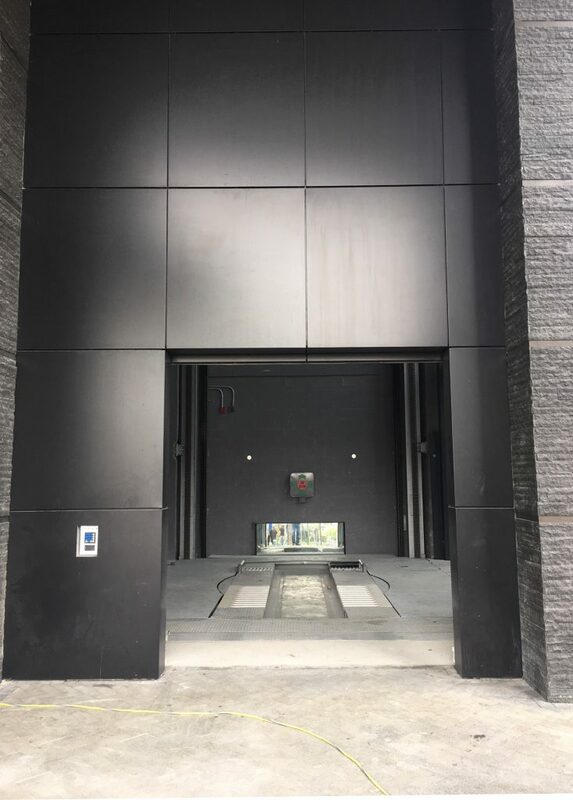 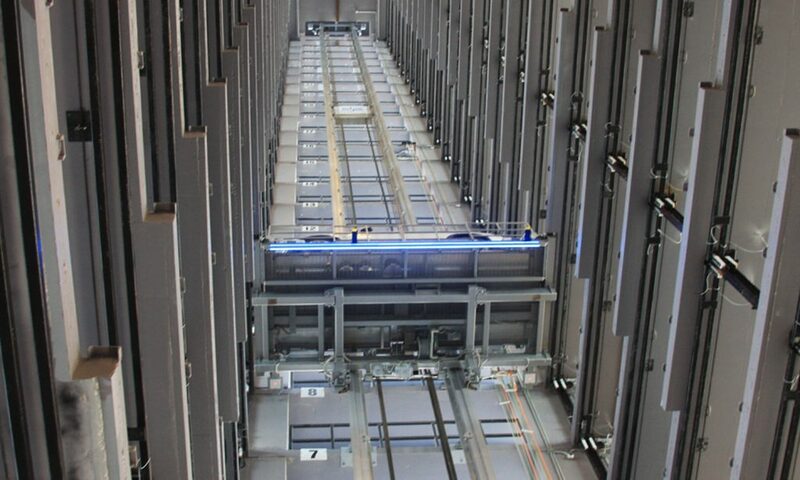 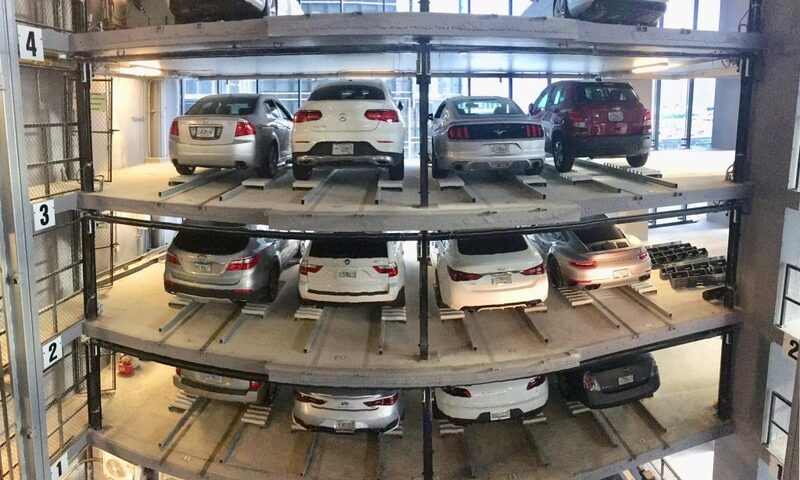 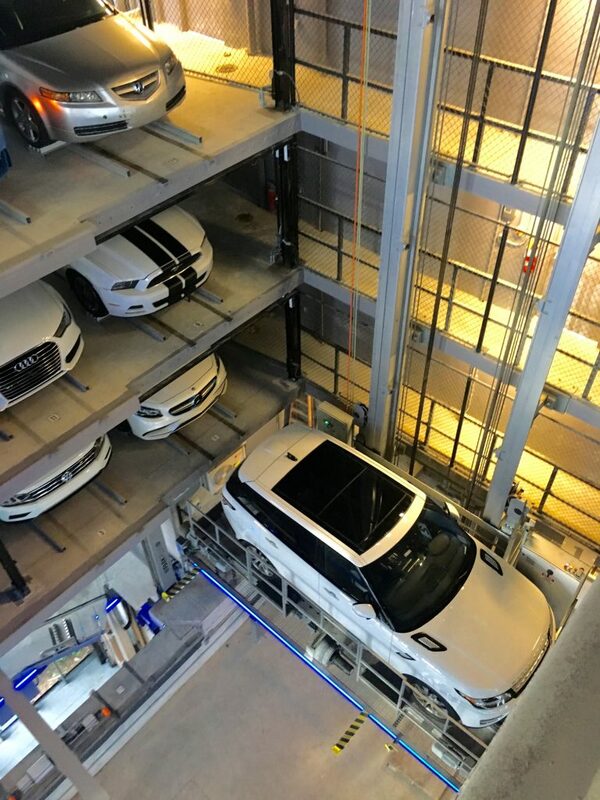 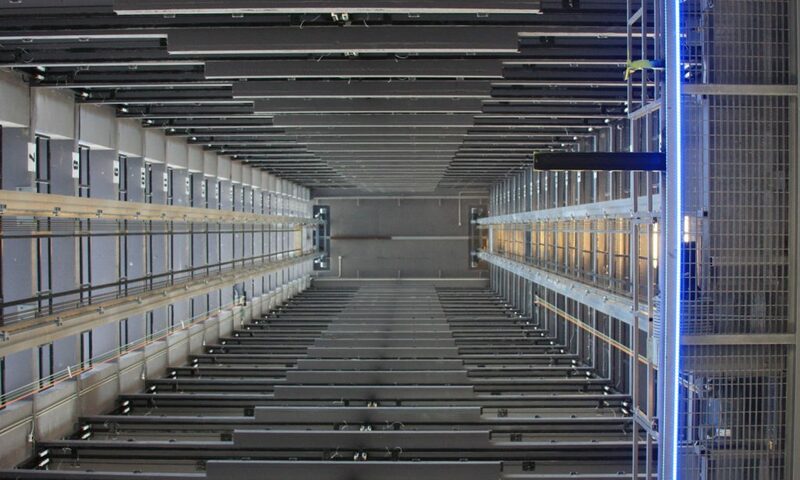 At 26 levels high, this is the tallest automated parking system of its kind in the world, storing 208 cars on the same footprint as 8 parking spaces. 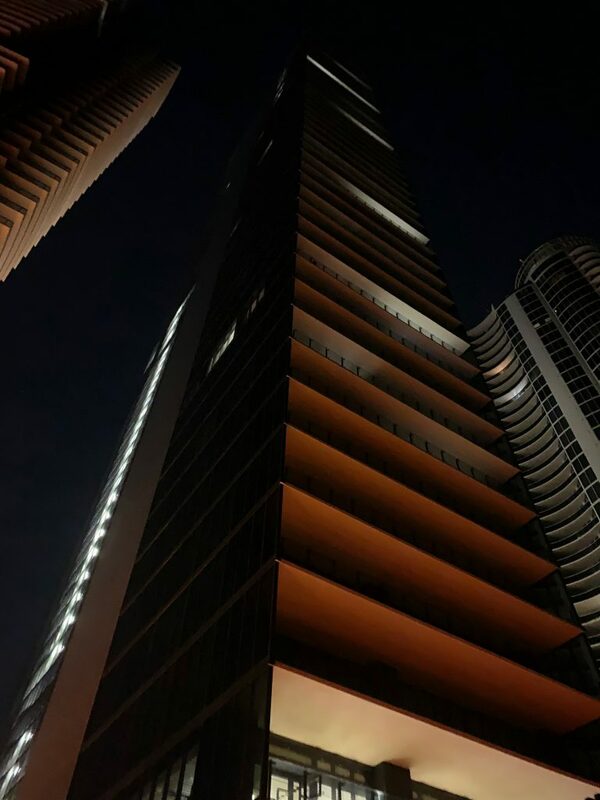 Muse Residences is a 51-story luxury oceanfront condominium located in Sunny Isles, Florida. 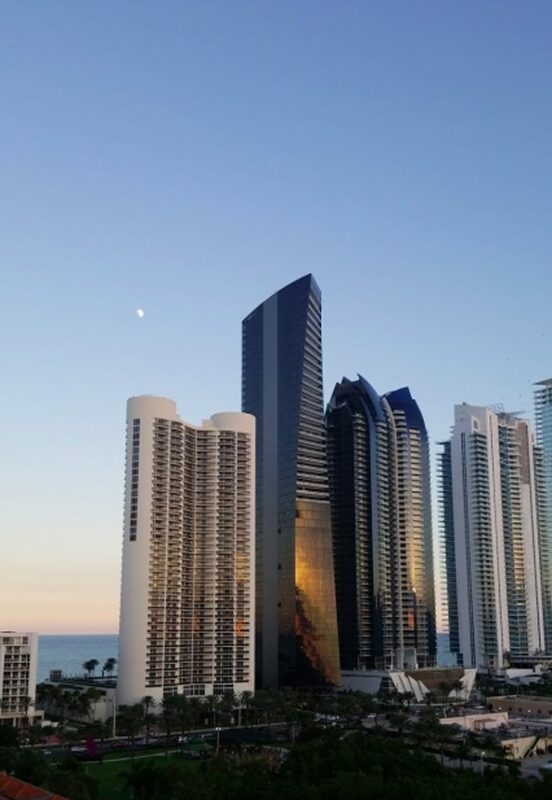 Sunny Isles is a world-class waterfront destination on the coastline of south Florida that lies between the intracoastal waterways and the Atlantic Ocean. 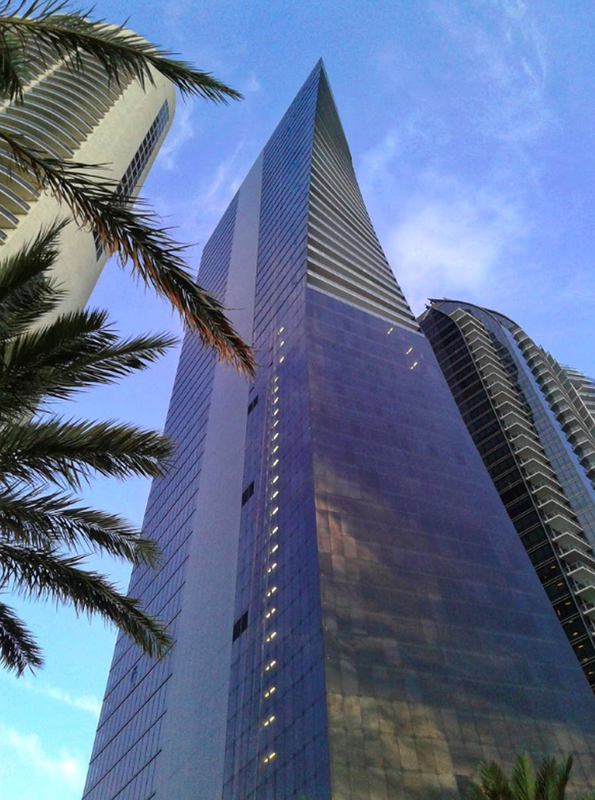 Muse Residences is a 650-foot-tall glass tower featuring a unique twisting design. 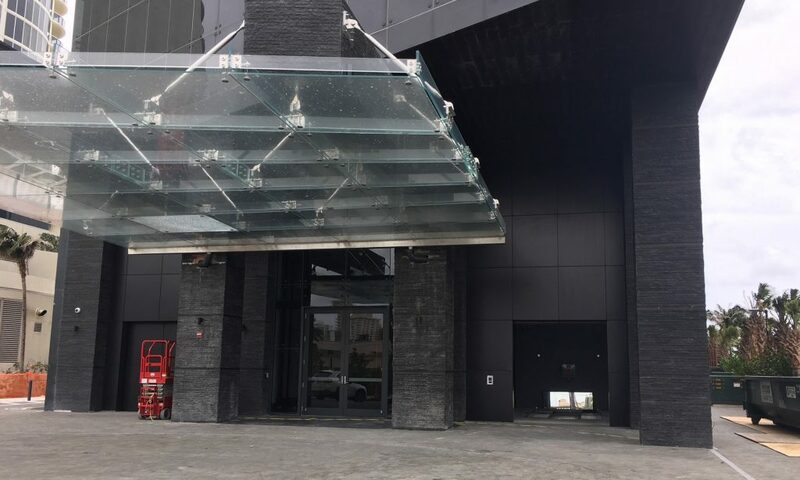 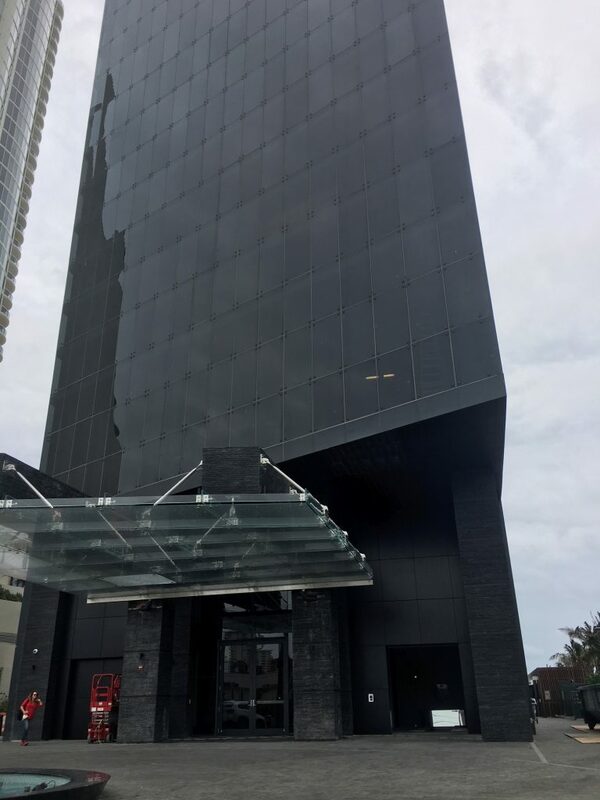 The stunning building was developed by Property Market Groups (PMG) and S2 Development, and designed by Sieger Suarez architects. 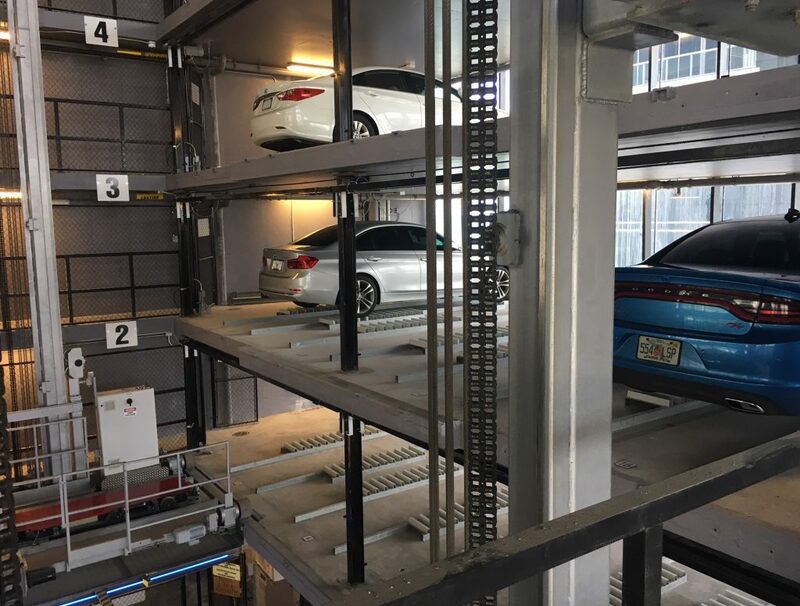 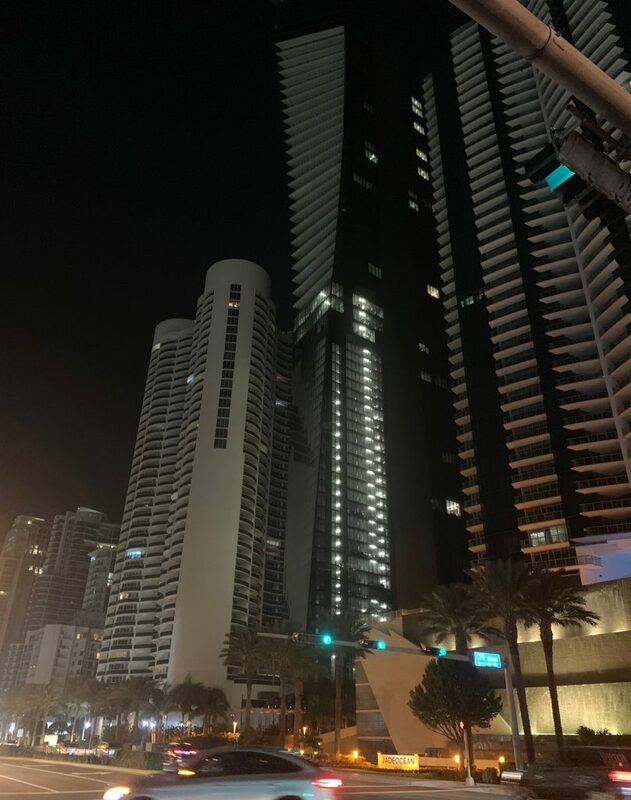 Muse Residences is equipped with a PARKPLUS fully automated Rack and Rail parking system that folds into the building, is first of its kind in south Florida and the tallest of its kind in the world. 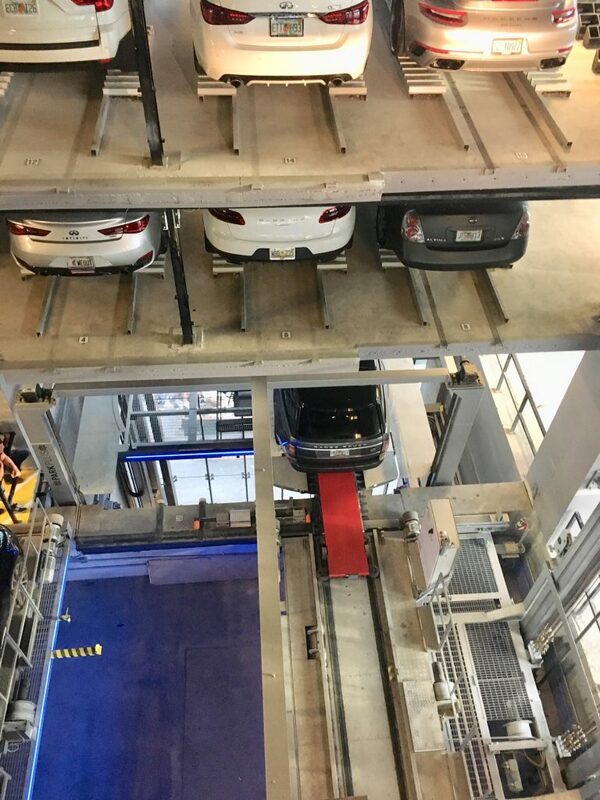 The fully automated parking system has two loading bays on either side of the lobby. 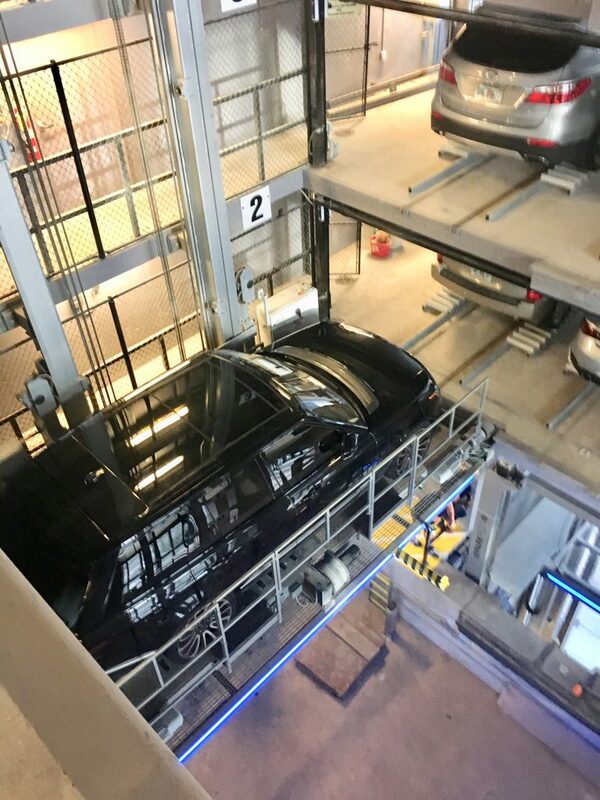 Users park their vehicles in these loading bays, leave vehicles and swipe a card. 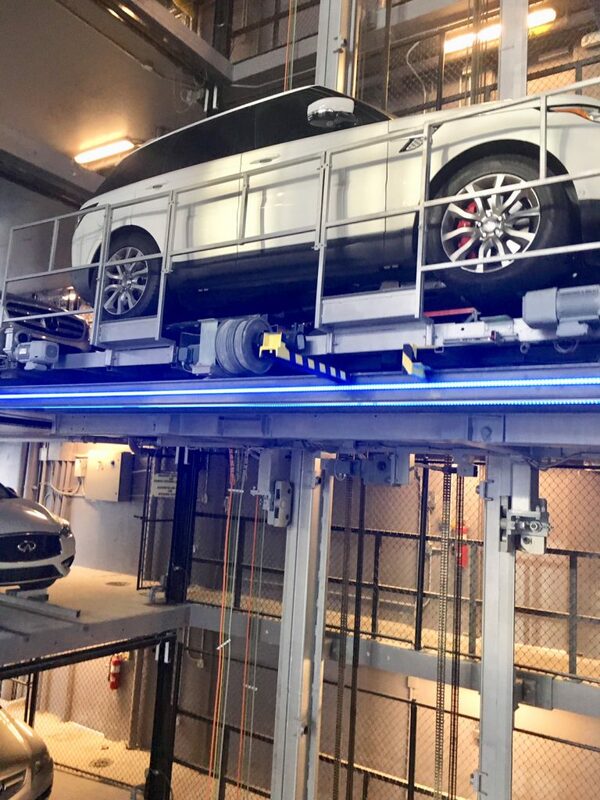 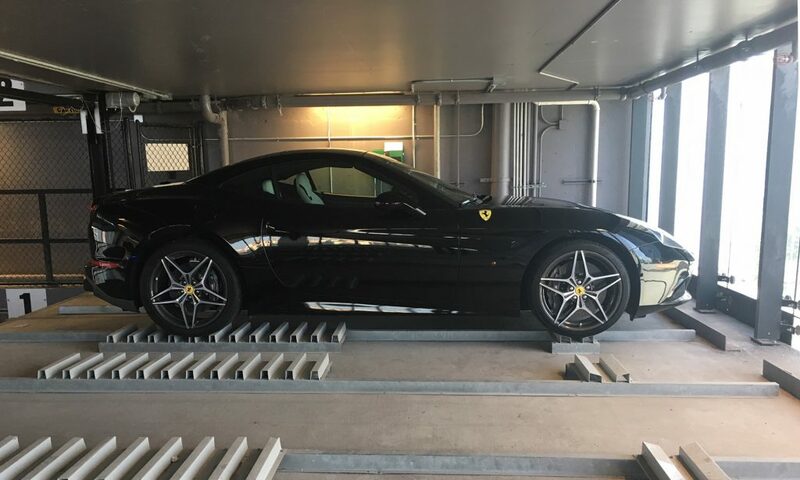 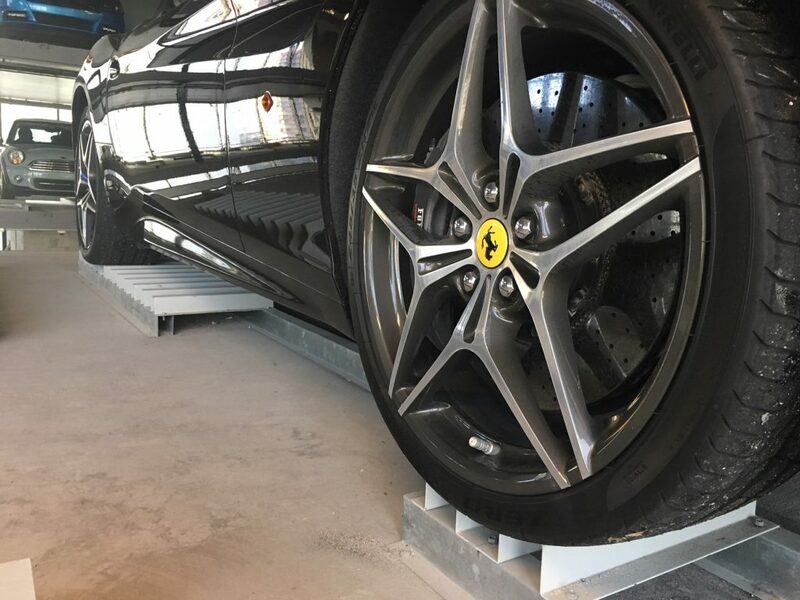 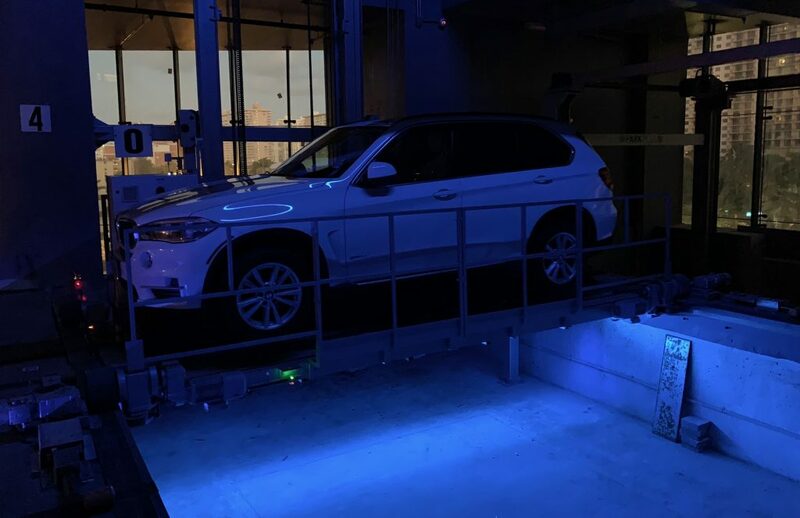 The automatic process is initiated and vehicles are lifted, rotated and deposited at a designated storage spot in the vault. 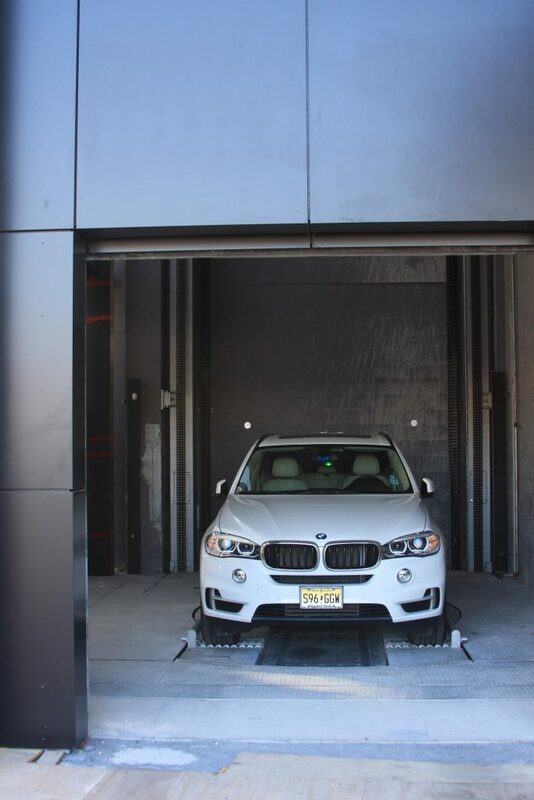 The vehicle retrieval process is initiated by swiping a card and the vehicle is delivered face-out for convenience.